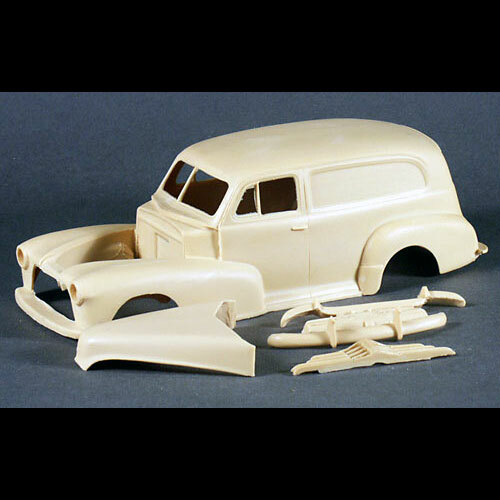 1947 Chevy Sedan Delivery Resin Body Kit by Mike's Miniatures. 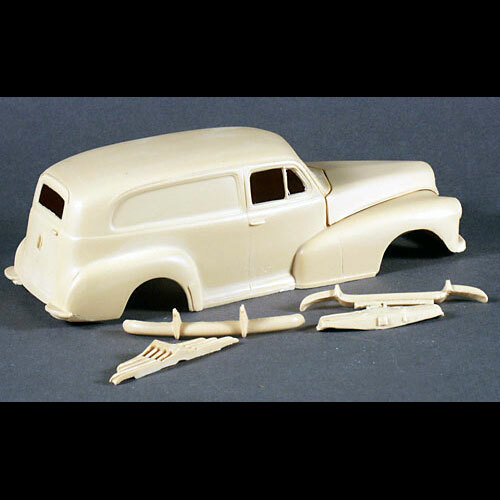 This 1/25 scale resin 1947 Chevy Sedan Delivery includes a one piece body, hood, dash, grille and bumpers. This resin model / body would require a Heavy Truck model kit or a Light Truck model kit for donor parts to finish. Special thanks to Dean Milano for helping identify the caster of this kit.